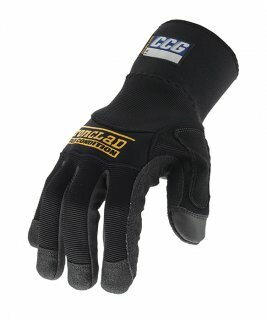 This high-tech glove is built to protect workers' hands better than any other work glove. The cut is tight to the wrist and, rather than being cut straight, it is tailored to fit the natural curve of the hand in resting position so that the hands can relax when resting. The palm is constructed of Amara, a synthetic material that mimics the resilience, grip, and comfort of suede while remaining machine-washable and resistant to water damage. High-wear areas and the fingertips are reinforced with thicker pads of this same material to add to the glove's durability without compromising dexterity.